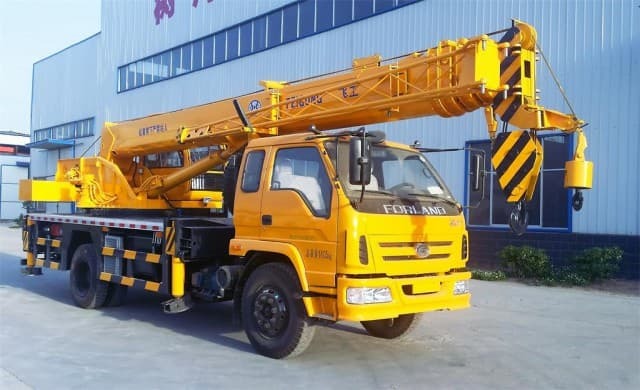 A crane truck is a vehicle equipped with a machine to lift, lower or move loaded materials horizontally or vertically. This simple yet highly functional machine can perform tasks well beyond a human’s normal capability. These vehicles are very practical for use in many different industries. In the transportation industry, they are used for loading and unloading of payloads. 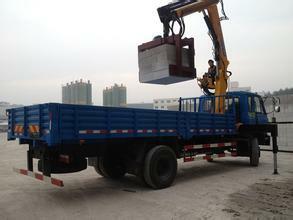 In the construction industry, the trucks are used to lift, lower, or move construction materials. 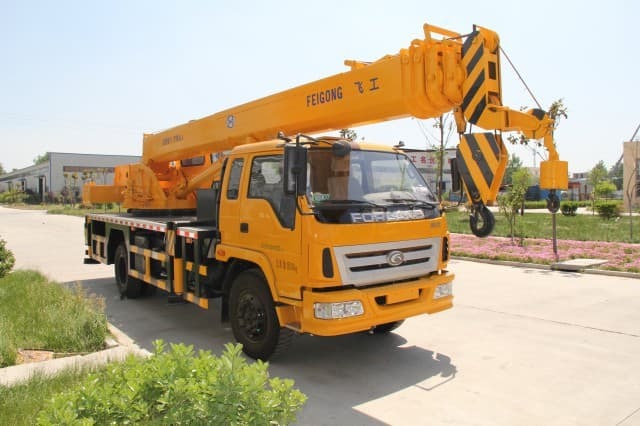 This is a type of vehicle that is mounted with a hydraulically operated crane or boom. This machine has its own engine and is mounted on a rubber-wheeled chassis. 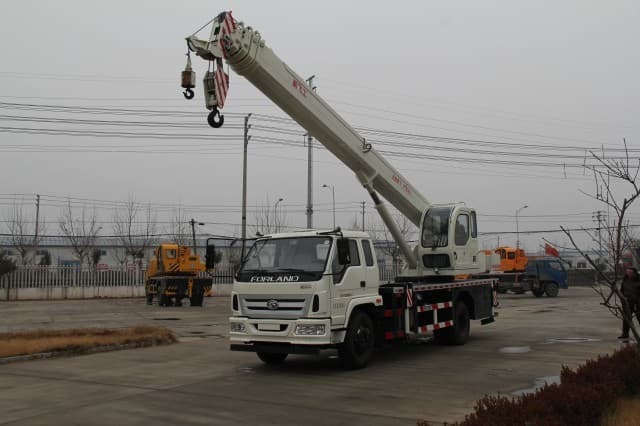 It can operate as a crane and yet can be easily moved from one location to another even when carrying a load. The truck-mounted types are convenient as they can move over streets and highways; they also offer flexibility in cargo and load-handling in an efficient fashion. 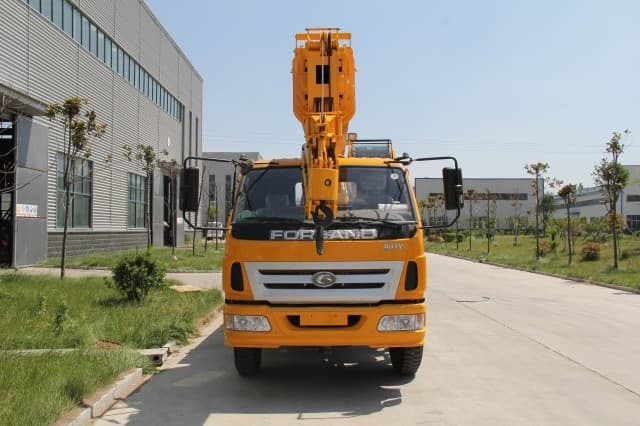 When working on a job site in a stationary capacity, this vehicle is equipped with outriggers which are leg-type legs that extend horizontally and vertically from the base of the truck. This helps prevent a tip-over when moving a load from one location to another. 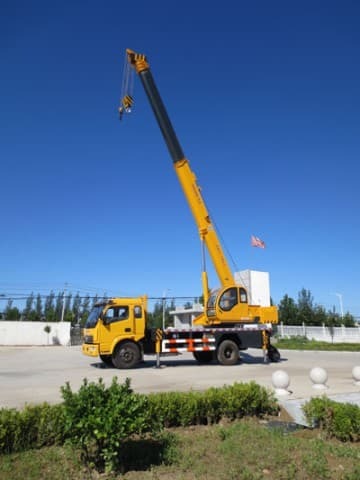 Loads that are suspended in front with little or no movement are relatively safe as the weight of the chassis and the boom acts as a counterweight to the load. The versatility and efficiency of this piece of equipment has increased its popularity over the more traditional stiff-boom types. The knuckle boom truck has the capability to load and unload materials from the vehicle. It can fold down to a small size and yet extend for a long distance, giving it the advantage of an increased payload, increased control and versatility, and a lower profile. The articulation of the knuckle boom makes it very useful on narrower streets or smaller spaces. Due to its articulating boom, another benefit of a knuckle boom truck is the ability of the boom to be folded back into the bed, saving space for storage during travels. Since most articulating arms are made of light-weight materials, generally knuckle boom ones are much lighter than stiff-boom ones. 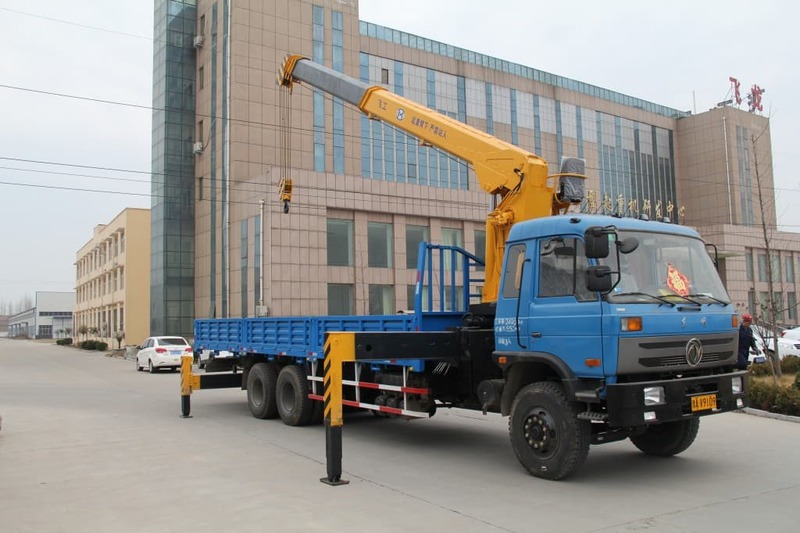 Another type of these vehicles is the rough terrain that is a self-propelled boom mounted on a truck and designed for off-road and/or rough applications. They are used for lifting and carrying materials for construction projects, building of bridges and even usage by some chemical plants. Generally, a rough terrain model has a single engine that operates both the boom and the undercarriage. Unlike the crawler, the engine is usually mounted in the undercarriage rather than on the top. 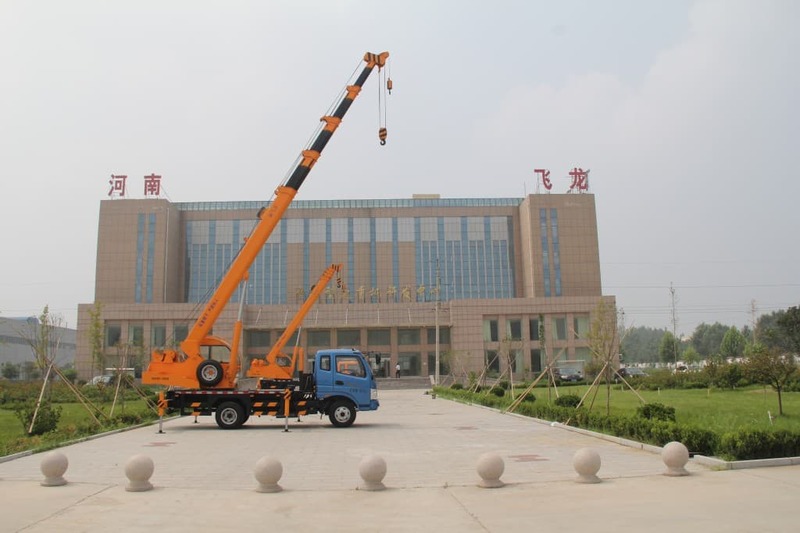 Grove introduced the first rough terrain crane truck to the market in 1959 and Tadano was the first to develop this vehicle with a single engine. Equipped with industrial tires, it has the strength to pass through all kinds of terrain and can transport considerable loads while in a carrying mode. 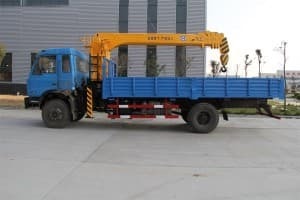 This type of vehicle is considered a luxury-type of mobile hydraulic version in the industry and has the multi-functional capability of traveling on all types of terrain as well as moving over streets and highways. It is either powered by one or two engines with all-wheel-drive features. 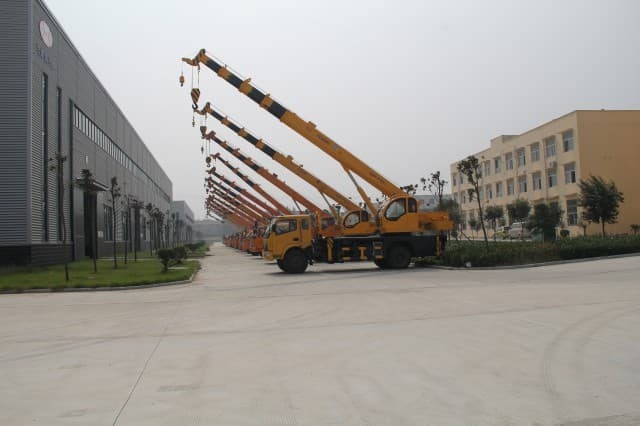 The machine’s crane components consist of hydraulic winches and multiple extended sections of a telescopic boom. The ability of this vehicle to move along the highway at a reasonable speed even with a heavy frame as well as its ability to maintain comfort on off-roads through its advanced suspension system makes it a truly unique model in the industry. 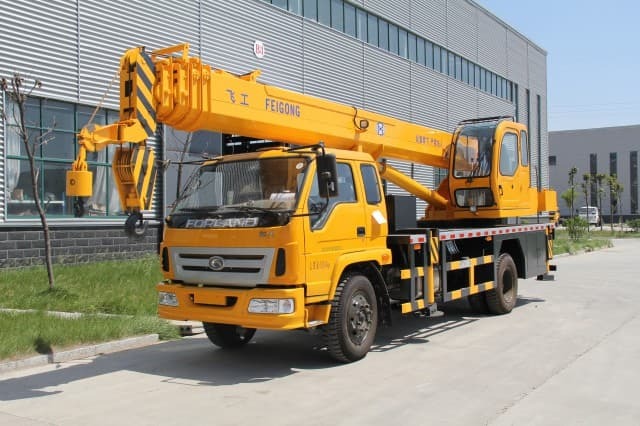 No matter which type of crane truck you select, you will find that the many uses of this versatile vehicle make it an excellent selection for many business needs. Hopefully you now have enough information to make the choice that is right for your work needs. Happy hunting!